We were reading this information about the latest OFCCP rules and regulations and thought it would be useful information for you. One of the key areas has to do with your outreach and recruitment efforts. An OFCCP officer can request documentation that proves you are actively doing everything you can to identify and recruit minorities to your workplace. They can request specific details such as where you posted your open positions; how often these positions were posted; and costs involved as they relate to recruiting minority candidates. Should you be audited, it is imperative that you’ve kept excellent records of all your recruiting communications. Another area the OFCCP is focusing on is compensation. They will look at your compensation information and hours worked by your employees according to their race and gender and compare it with salaries of individuals in similar positions. They can even review your online application system and determine whether it is difficult or easy to use. The easier to use, the better off you and your applicants will be. DiversityNursing.com is here to help you communicate your open Nursing positions to our Nurses within diverse communities across the country. We hope this article is helpful to you. Office of Federal Contract Compliance Programs (OFCCP) audits can be complex, which is why it’s so important federal contractors understand the latest requirements and trends impacting enforcement. A snapshot of the company’s online application system and its flexibility for users. List of each job posted during the prior year and current year review period. Physical or reasonable accommodations made. Proof of EEO language in job advertisements. The list above is not exhaustive since individual officers and OFCCP offices have a lot of discretion to request additional information during an audit. They may even contact you before you submit your affirmative action plan (AAP) with specific requests. The IWD and PV AAPs now contain applicant and new hire data so contractors (and OFCCP) can assess the effectiveness of your outreach and recruitment efforts, hiring, and selection procedures. This data must be maintained for three years so ongoing efforts can be evaluated over a period of time. As noted earlier, an officer may request proof you are engaging in efforts to identify and recruit IWD and PV. This includes proving you made the mandatory job listings with the Employment Service Delivery System offices required by VEVRAA. OFCCP may contact individuals who represent your recruitment and outreach partners to determine the extent of your engagement with them. Are you just pushing out job postings to them? Or, are you interacting and communicating your company’s needs and requirements ensuring you get qualified referrals for open jobs? Outreach and recruitment activities in job groups where there are goals for women and minorities are also important. You will be expected to show progress toward those goals and identify what actions you took. OFCCP continues to focus on compensation. Two events have already taken place this year to underscore the importance of fair pay to this administration. First, Executive Order 13665, Pay Transparency, became effective in January and it prohibits federal contractors from taking adverse action against employees or applicants who disclose or discuss compensation information. Next, you may have heard the EEOC has proposed revisions to the EEO-1 Report for the 2017 reporting cycle. These revisions would require submission of aggregated compensation data and hours worked by EEO-1 category, race, and gender using salary bands. All federal contractors, and private employers with 100 or more employees, would be required to submit the reports in the revised format. The comment period closed April 1, 2016, and more details will be available soon. 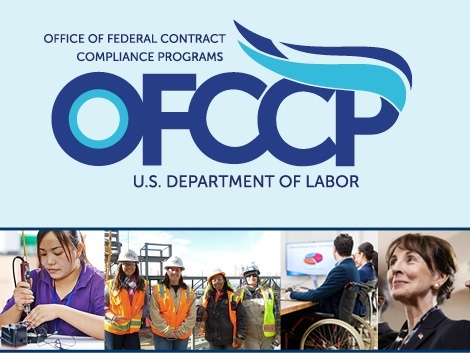 OFCCP is working with EEOC on this proposal, but the agency does not have to wait for the EEO-1 changes to evaluate a contractor’s compensation practices because employee level compensation data is submitted for a compliance review. Officers continue to evaluate compensation in many ways, including the workforce in total, by grouping similar jobs together by job group, and comparing individuals in the same or similar job titles. Pat Shiu, OFCCP’s Director, recently commented in a Wall Street Journal article that the agency has been focusing on pay discrimination cases involving multiple workers, and it is pursuing “…dozens of very big systemic discrimination cases throughout all kinds of industries. You’ll see a real uptick in 2016, 2017, 2018,” she says. Shiu has made it crystal clear one of OFCCP’s primary roles is to protect workers and believes that ferreting out unexplained differences in pay is a major way to provide this protection. Other types of compensation—bonus, commission, awards, overtime, etc. If you have questions about OFCCP, feel free to ask one of our Nurse Leaders by clicking below!